Russian Foreign Minister Sergey Lavrov caused some eyebrows to raise when he decided to check one of the doors in the conference room – where he was about to hold talks with the IAEA secretary-general – for spies. “And what do we have here? A door? A wall?” Lavrov was heard muttering when he opened and briefly inspected the door. “Anyone eavesdropping there?” he mused, causing a few chuckles from the officials present. It remains unknown whether Lavrov meant it, or was simply joking to lighten the mood. 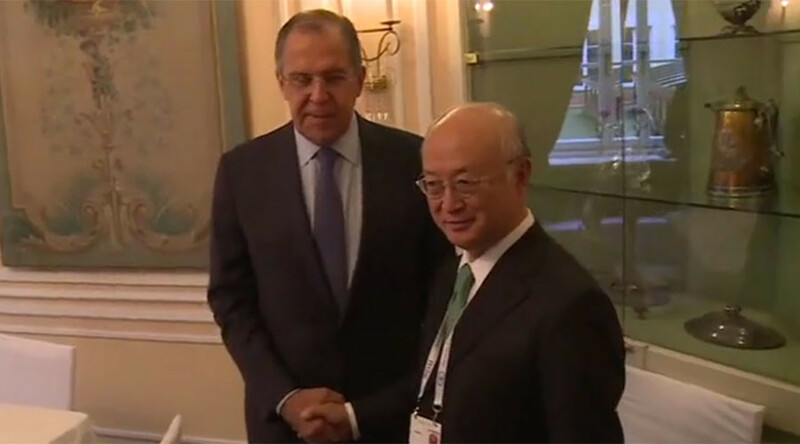 Lavrov’s meeting with Amano comes on the sidelines of the International Security Conference, which is underway in Munich, Germany.